CHICAGO, September 10, 2018 — Littelfuse, Inc. today introduced MHP–TAC (Metal Hybrid PPTC – Thermal Activated Compact) Series Resettable Over-temperature Protection Devices, the latest addition to its line of battery min-breakers. These devices connect a PPTC (Polymeric Positive Temperature Coefficient) device in parallel with a bimetal protector (a resettable thermal cut-off device) to protect the high-capacity lithium-ion polymer (LiP) and prismatic battery cells used in mobile devices and consumer electronics from damage caused by overheating and overcurrents. 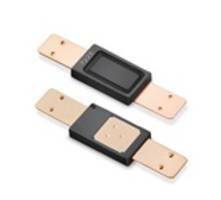 The combination of small form factors, high cell capacities and high battery discharge rates typical of LiP and prismatic battery protection applications demands a circuit protection device with low thermal cut-off temperatures (<90ºC), high hold current ratings (>6A) and a compact size. When compared with other devices of this type, the MHP–TAC Series offers higher voltage ratings, higher hold currents, more temperature rating options, and a thinner, smaller form factor, which reduces battery pack design space requirements. Typical applications for MHP-TAC Series Resettable Over-temperature Protection Devices include LiP and prismatic battery cells intended for use in battery-powered devices such as notebook PCs, ultra-books, tablets, smart phones and e-cigarettes. MHP-TAC Over-temperature Protection Devices are available in bulk in quantities of 1,000. Sample requests may be placed through authorized Littelfuse distributors worldwide. For a listing of Littelfuse distributors, please visit Littelfuse.com. Additional information is available on the MHP-TAC Over-temperature Protection Device product page. For technical questions, please contact: Amy Chu, Product Manager, Electronics Business Unit at Littelfuse, Achu2@littelfuse.com.